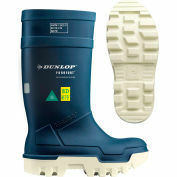 The Dunlop® Purofort® Thermo+ full safety is a suitable work boot for the professional fishing sector specially equipped to deal with extreme weather and work conditions. 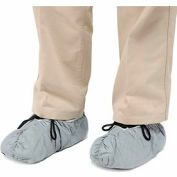 Its excellent cold insulating properties make it possible to work at temperatures down to -58°F (-50°C) while keeping feet warm and dry. 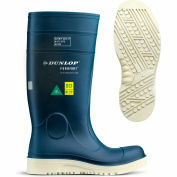 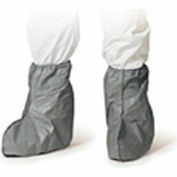 Its anti-slip outsole profile offers excellent slip resistance to allow you to work safely on wet, slippery and dirty floors on fishing boats and in fish market environments. 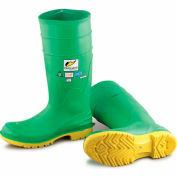 The smooth shaft is dirt-repellent and easy to clean. 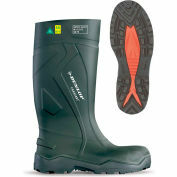 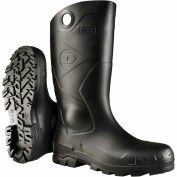 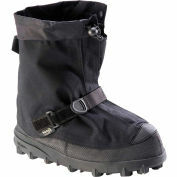 Features a protective steel toecap and steel midsole for impact and penetration protection.